My family has been craving cookies lately and once I got back from vacation, I jumped right into the kitchen to start my baking again! 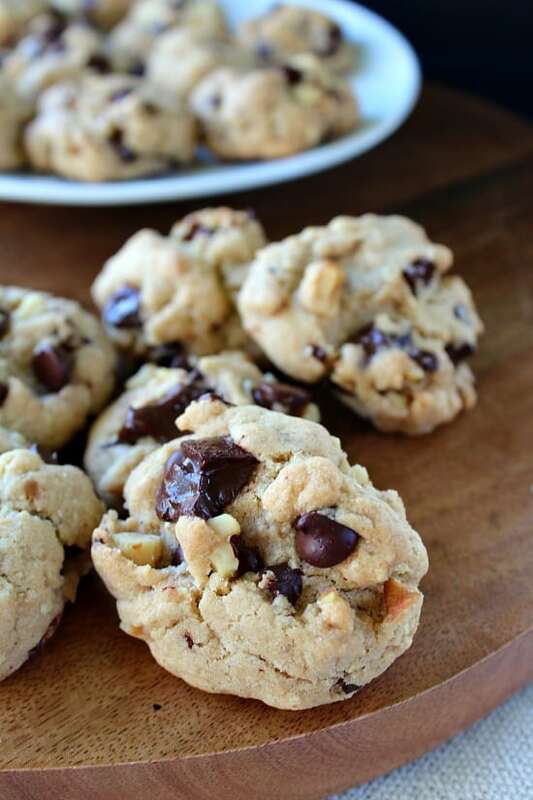 These gluten free chocolate chip cookies are super good and you won’t even believe they are dairy free! I love baking without dairy and processed stuff. I’m amazed how good food and baked goodies taste with organic, and healthy ingredients. I still can’t believe that we have made this transformation to a healthier way of eating. Anytime I make cookies, I always add a little more flour than the recipe calls for. 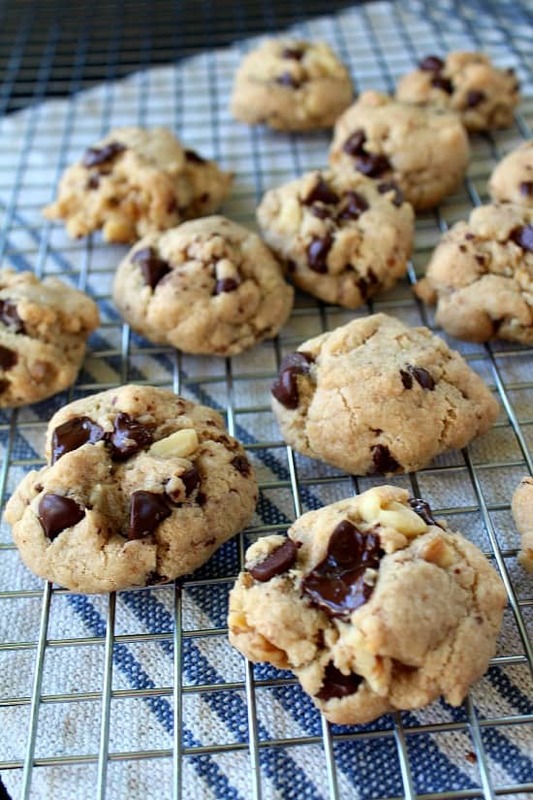 This chocolate chip cookie recipe has a 1/2 cup more flour than the original toll house recipe. 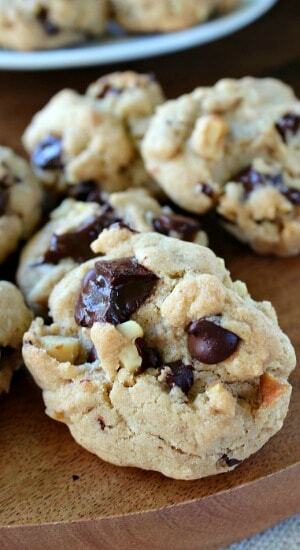 Adding a little extra flour to your mixture helps keep the cookies puffy instead of flat. These are not only gluten free, but dairy free as well. 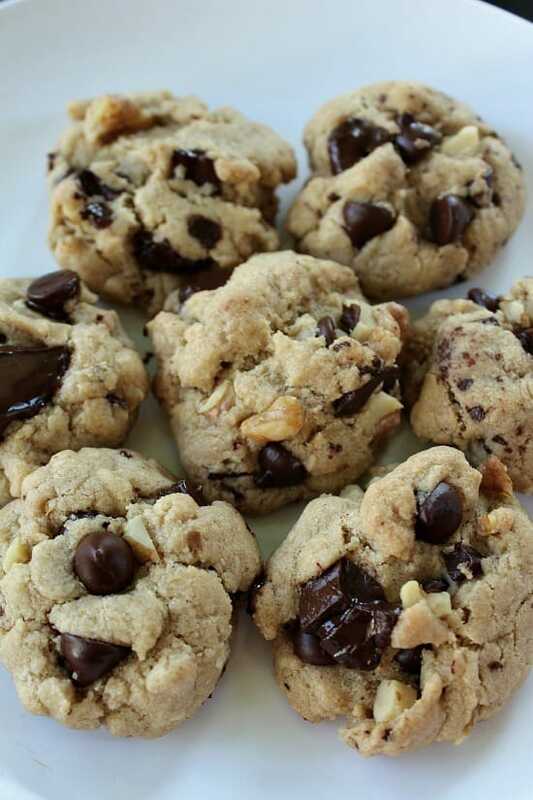 These cookies are super good and healthier than ones that add butter. 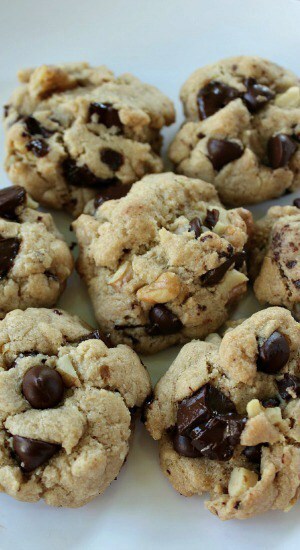 I know you will enjoy these gluten free chocolate chip cookies! In a small bowl, whisk egg replacer and warm water, set aside. In a medium bowl, whisk flour, baking soda and salt together, set aside. In a large mixing bowl, beat butter, sugar, brown sugar and vanilla until smooth. Add egg replacer to wet ingredients and beat until creamy. Stir in chocolate chips, chocolate chunks and walnuts. Bake for 13-14 minutes or until lightly browned. Remove from oven, after 2 minutes, place onto wire rack to cool. I’m not a fan of gluten free baked goods but these look amazing. I’m going to have to give them a try. Thanks Terri! My favorite , yours look so perfect , well done!! !